An Afghan policeman stands at the site of a blast in Kabul, Afghanistan September 13, 2017. KABUL - A suicide bomber blew himself up at a checkpoint near the main cricket stadium in the Afghan capital Kabul on Wednesday, killing at least three people as a tournament was under way, officials said. Interior Ministry spokesman Najib Danesh said two police and one civilian were killed and five people wounded. Local Tolo News Television quoted the Afghan Cricket Board as saying all players were safe. The blast outside Kabul International Cricket Stadium took place during a match in Afghanistan’s Shpageeza Cricket League, a T20 franchise tournament on the lines of the Indian Premier League and similar 20-over tournaments. A statement in Bosnian on Islamic State’s Amaq news agency said a suicide attack had been carried out on members of the Afghan security forces in Kabul‮‮,‬‬ although it was not immediately clear whether the statement referred to the same incident. A small number of foreign players are also taking part in the competition. Cricket, which spread from refugee camps in Pakistan, has become one of Afghanistan’s most popular sports and the national team has become increasingly successful, raising the profile of the game. 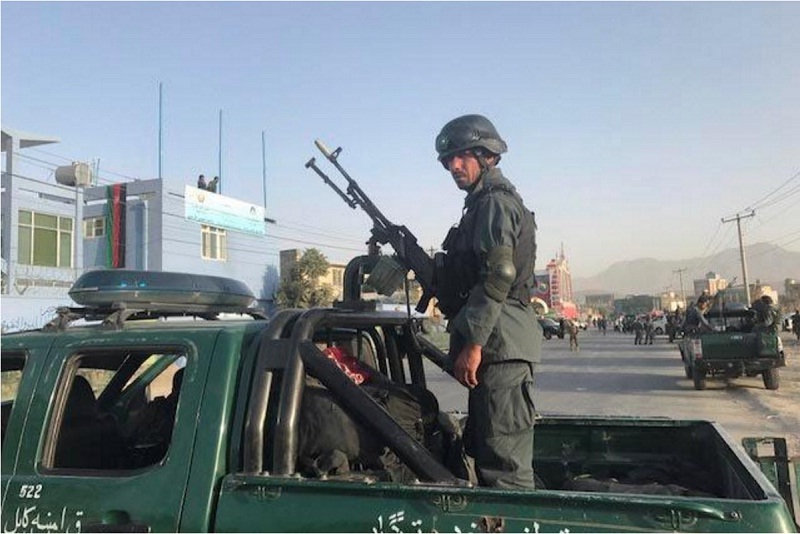 A suicide bomber blew himself up at a checkpoint near the main cricket stadium in the Afghan capital Kabul on Wednesday, killing at least three people as a tournament was under way, officials said.